I noticed there's no topic on 'Introducing ourselves and who we are' and I've been around for a long time on this forum as a reader, lately more as a contributor. 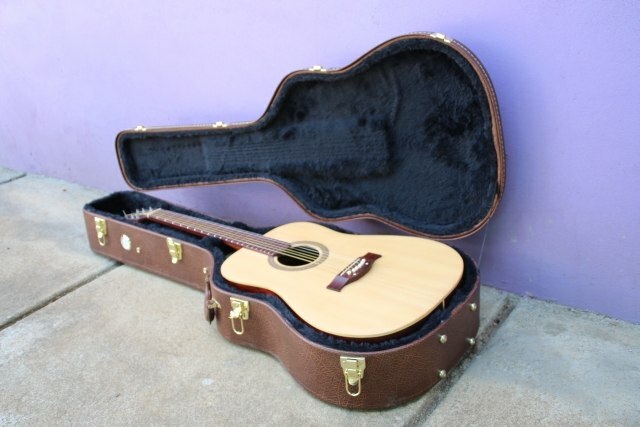 So let me introduce myself and share a story of a custom built dreadnought that's waiting for me in Nicaragua. My name is Age, nickname 10pizza, 42 yrs old and living in the Netherlands. First got the guitar-virus when I was about 14 yr old and a big Pink Floyd fan. 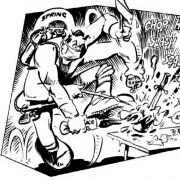 My brother bought a cheap electric one day which sort of opened up the world for me: I lived in a small town and electric guitars were something I only knew from the TV! So I started with a job during summer holidays and I got myself a very nice, metallic red Fenix stratocaster (made in Korea by Young Chang, who also built guitars for Fender), similar to Dave Gilmour's strat he played in the 80's. now on to the guitar story. Me and my wife are in the process of adopting a child. It's a very lengthy procedure which takes a lot of time and since 2013 we are waiting to be matched to a child needing a family. You have to pick a country to adopt from and in our case it's Nicaragua. When we are matched to a child we will need to stay over there for about 4 months. This gave me an idea: I'd like to play some guitar while I'm over there, so I started looking online for guitarshops/luthiers. 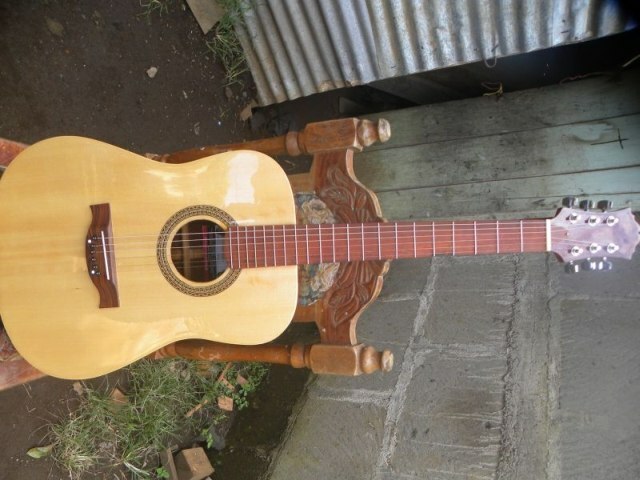 I found a local builder called Luis Pilarte and I started emailing with him on the possibility to build me an acoustic. 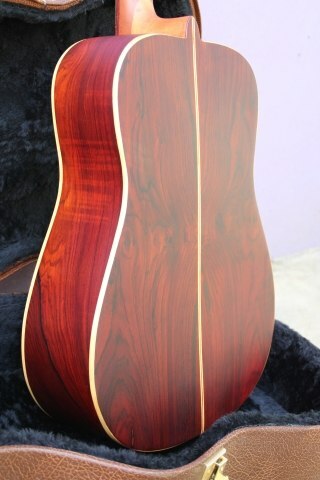 He sent me some pictures of wood he had available and I selected some nice pieces of cocobolo. I gave him specs matching those of a Martin D28 and he started building. A couple of months later it was ready and now it's waiting over there for me to come and play it! attached some pictures of the wood and end result. Can't wait to go out there and first of all meet our kid but then pick up this baby! Wow that looks great! You must be super excited (guitar and child)! 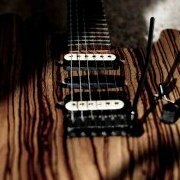 Looks like a great guitar. My wife and I spent some time in Nicaragua in 2010 - it's a beautiful country, but also very poor. I'm sure you know all about that. We did notice some amazing local crafts - pottery, furniture, leather goods (this place was amazing). Very high quality craftsmanship for the price. I was looking for guitars but didn't do any research beforehand and only found low quality "souvenir" guitars. I hope Nicaragua is able to establish some of these trades as exports. I hope the adoption comes quickly and goes smoothly! Make sure you build lots of guitars before the kid arrives - they are horrible on both time and money. Quite the story! Can't say much more than what has already been said man. It's a very human thing to do, is adopt. Mark of a good person. very much looking forward to it. I'll try to find that shop in Granada. Maybe they can make me some nice guitarstraps! I bet they can make you some amazing guitar straps! The morning we got to Granada, we had our hotel arrange a mountain bike tour of the town. I highly recommend it if you can. It was my wife and I plus our tour guide, a young guy named Frank. It was a great way to see the city and the tour was more about the realities of life in Granada than just the tourist highlights. He showed us where people worked, told us how much the different factories paid, talked about the insides of houses, pointed out which houses were well prepared for "Rainy season", and much more. He was especially excited about a recent government program that backed banks so people could pay for their houses over 30 years instead of having to pay 100% up front (this was a totally new concept in Nicaragua and I guess without a stable currency and government, you really can't get a mortgage). sounds like a nice experience indeed! update here: looks like we're heading off to Nicaragua in the next month! Awaiting final approval from local authorities at the moment, but that should be ok.
a little 1,5yr old kid waiting to meet us and become part of our family! anyway, I started a nice project here with a local guitar-builder. He'll be making a couple of cocobolo dreadnought guitars for me, which I'll finish at home and will sell under my own brandname Swel Guitars. 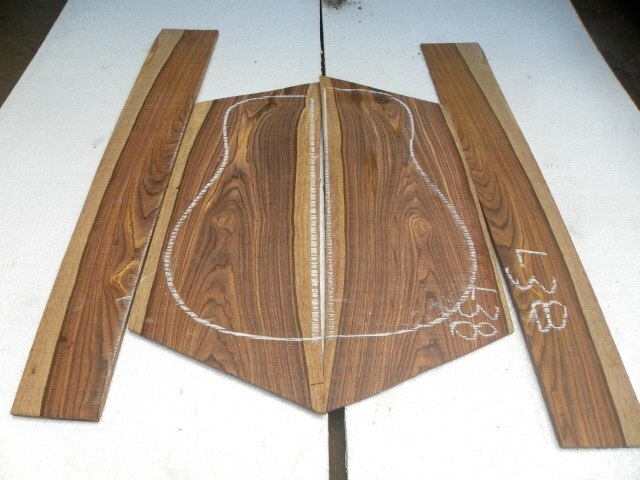 these will be handpicked and handmade Cocobolo matching backs&sides with a Sitka spruce solid top. I'll do the radiusing, fretting, hardware (bridge, nut, tuners) install and finish myself. So I've got my work laid out for me for when I get back!